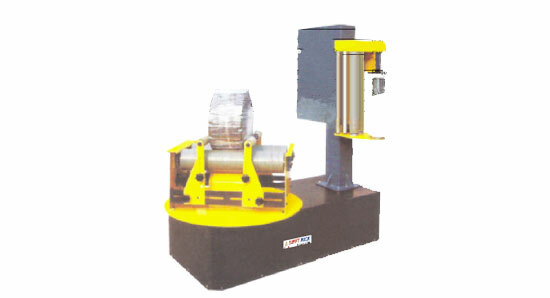 We offer a stretch wrapping machine in different models. stretch wrapping machines are used for stretch film wrapping around the product. Stretch wrapping machines offered by us are available at most competitive in rates and can custom configured. Stretch wrapping machine assist in reduction of labour by automating the process of attaching, detaching and pressing the film. For the product to be wrapped, the operator simply places the item on a turn-table and switches the machine to operate. SPSW 2100 Pallet Stretch Wrappers are designed to wrap stretch film around a loaded pallet. Film provides extra support while the products are being transported & storage to protect them from tip, spill or from being damaged. SPSW 350 And SPSW 600Box Stretch Wrapping Machine could be used for wrapping single cargo or some small cargos combined. Pneumatic top plate ensure it clam and safety packing. The packing height, fixed film carriage or up-down film carriage can be choose according customers request. SPRW 500 We offer a Reel Stretch Wrapping Machine. Reel Stretch Wrapping Machine is used for stretch film wrapping around the Non-woven, coil, paper roils, rubber product and similar materials manufactured in small reels. Reel Stretch wrapping machine assist in reduction of labor by automating the process of attaching, detaching and pressing the film. For the product to be wrapped, the operator simply places the item on a turn-table and switches the machine to operate.